What’s ahead at Money Island? We are excited about the future of Money Island, New Jersey as a host site for a wide range of bayshore users. In the fall of 2018 the Money Island Marina was closed for permitting and redevelopment and all but two of the houses on the eastern side of the island are being removed. By spring 2019 an expanded natural area will take their place. We expect to host new research projects and are planning for expansion of new private uses for 2019 that do not require government permitting. Government is considering the addition of a “welcome center” at the site of the marina but no deal has been reached yet. Meanwhile Baysave will continue many of membership-based activities that are consistent with the new planned uses of Money Island. We anticipate a decline in recreational fishing but an increase in overall tourism and an increase in other types of recreational boating activities. Over the next few years most of the houses on the western side of the island will be removed while commercial operations expand in the creek. Money Island will dramatically grow in both financial importance to regional aquaculture. Since 1990 we’ve lost about half of our dry ground at Money Island due to rising water and sinking land. We’ve taken dramatic action to address it: installation of a 440 foot seawall, redevelopment of stronger commercial boat docks, raising of the roadway and parking areas, rebuilding key infrastructure. Now we must embrace the inevitable future of higher waters. Future community planning will be water-based rather than land-based. Wet flood proof facilities and mobile infrastructure are already the standard for new projects here. That shift in reality will require massive change in thinking that will pose challenges to traditional systems and government. Recreational boating activities have been in decline here for many years. Over the past eight years he marina was partly supported by Baysave’s charitable donations (mostly from me and my family) until the state ordered the facility closed in 2018. Because of slow progress on required engineering and permits. We have previously proposed converting to a state marina like Fortescue State Marina. That would allow us to pay an annual lease fee that is based on revenue rather than the current unworkable charges for permitting, property taxes and tidelands lease fees that are much larger than the marina’s maximum possible revenue. Another proposal is to operate like Spring Garden Marina that replaced its floating docks with a boat lift. Both of those options have been proposed as long term solutions for the marina but first we need to resolve current community planning issues. Commercial aquaculture is at the beginning of a boom growth phase. We could easily see Delaware Bay production grow by ten-fold or twenty-fold simply by adopting simple technology widely used in the Chesapeake Bay. We don’t want to give the impression that Money Island is “going away”. It will certainly be different, but will remain an important part of this region’s culture and economy. 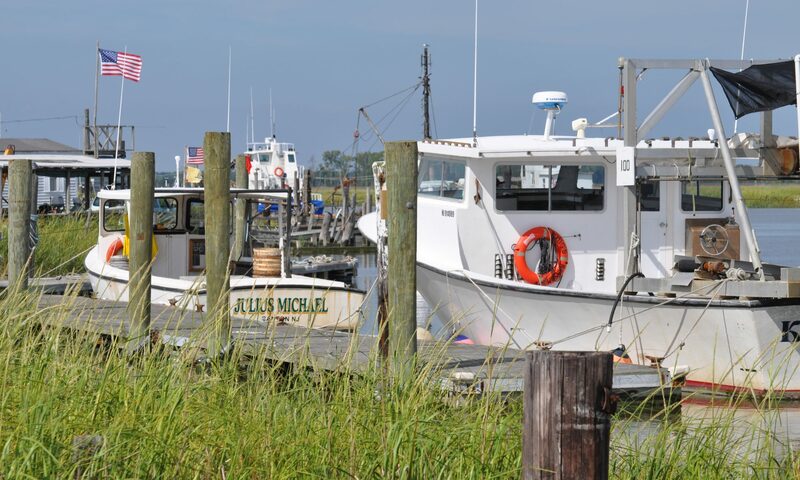 Baysave remains committed to serving a wide range of user groups ranging from sightseers, bird watchers, dog walkers, recreational fishing, commercial netters, oyster harvesters, crabbers, recreational boaters, research groups, and many more. We recognize the challenge in keeping everyone happy and welcome your input into our future.